Madison Galeriés, led by power couple owners Joel and Joy Rustia alongside their daughter marketing associate Tara Rustia, continues to be a destination of choice for family outings – be it a food trip, a shopping trip, or just to bond and relax with family. 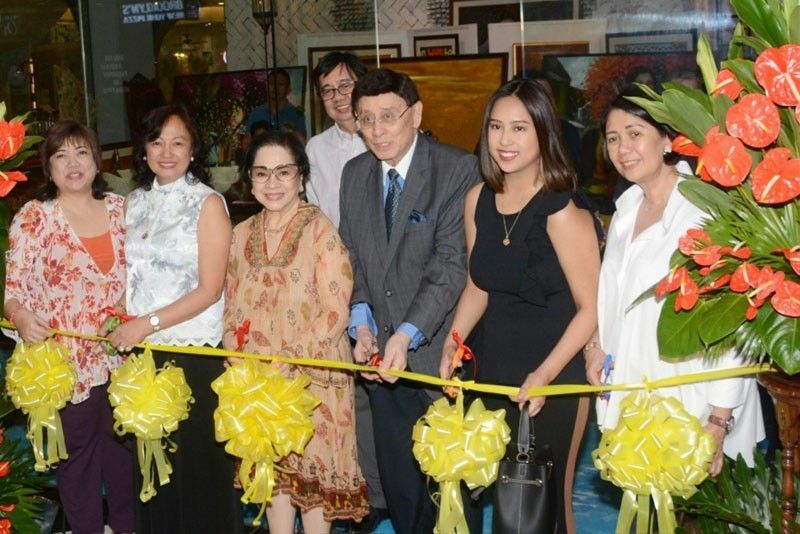 Recently, it has also become the home of the Malvar family’s Kartini Gallery, which showcases the masterful creations of the distinguished Filipino artists of Mission Arts Philippines. Born out of Kartini Gallery president and CEO Nina Malvar’s indomitable passion for the arts, Kartini Gallery also features an exquisite collection of Asian furniture and art works. The opening was attended by art enthusiasts, ambassadors, restaurateurs and members of business communities. Congratulations to the Rustia family for saving Alabangers and residents of the area from having to travel too far by making everything available at Madison Galeriés – including art! Kartini Gallery is located on the 2nd floor of Madison Galeriés in Don Jesus Boulevard, Alabang Hills. For more information, like Madison Galeríes on https://www.facebook.com/ MadisonGaleríes/ and follow them on Instagram @madisongaleries.